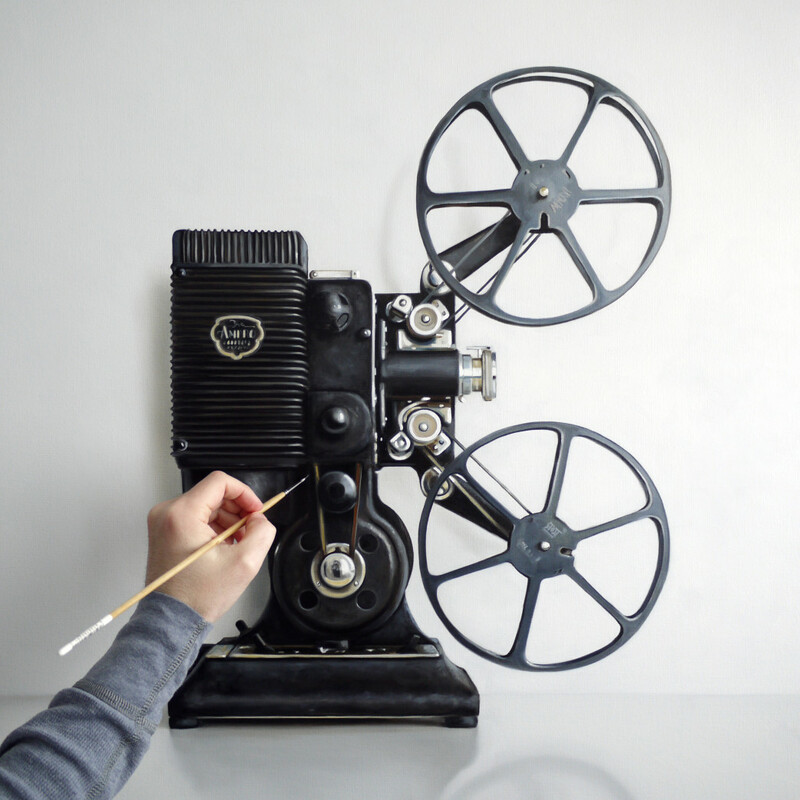 Putting the finishing touches on this vintage 16mm Ampro film projector. This will be for my solo exhibition at the George Billis Gallery in Los Angeles, which will feature a dozen new paintings starting on May 21, 2016. I have a little over a month to finish up the work, so I came up for a quick breath and then I’m heading back down to focus on finishing the paintings. 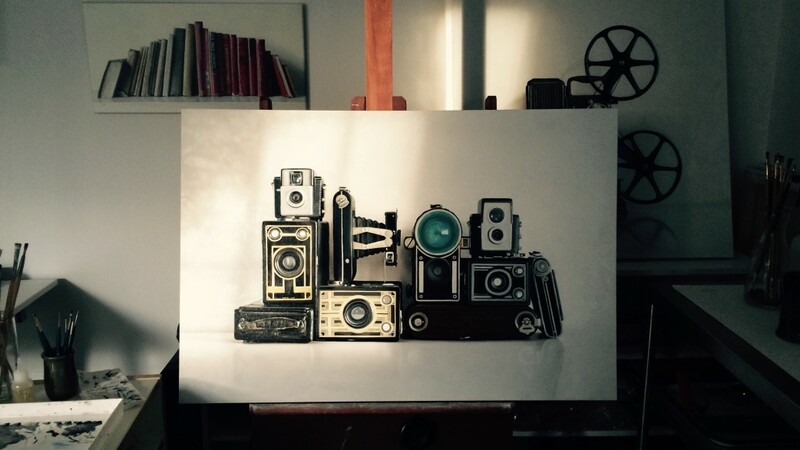 Above is an early evening view of the easel as I shut down after a long day of working with tiny brushes on the details of these vintage cameras. I like seeing the paintings in different light, I grabbed my iPhone and took this quick snap as the light faded. For over a month now I’ve been flowing along in the studio, working on numerous paintings that will be heading to the George Billis Gallery in Los Angeles for an exhibition running from May 21 – June 25, 2016. The paintings I’ve been working on are complex and full of details, so all my focus and energy has been on the paintings. By the time I’m done a painting session I find myself a bit mentally exhausted. Retreating from social media is important when I’m focussing on painting. There seems to be this pervasive pressure to constantly share what one is up to in the studio, but honestly, I find it easier to just rest instead of coming up with something put on Facebook or Instagram.